As 2011 slowly comes up to a close, I wish all my readers a Merry Christmas and a Happy 2012! 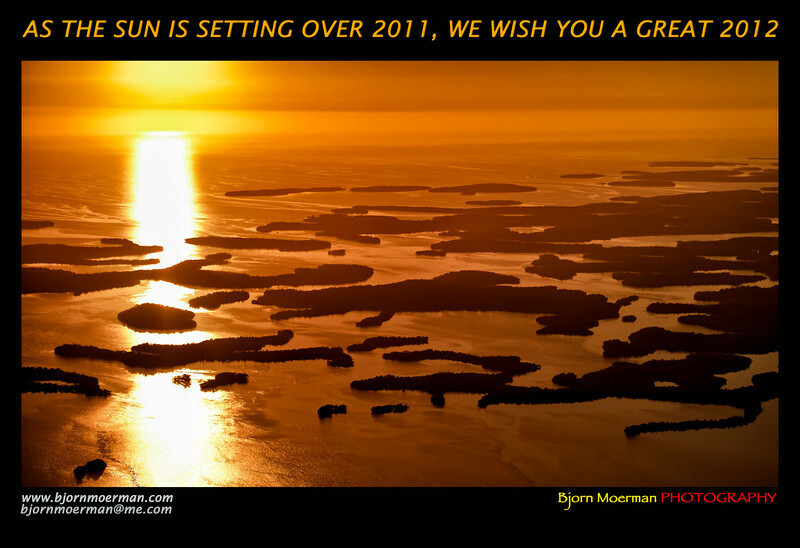 The image above was shot just before landing our Cessna 172 at Everglades city, Florida, last month. On Christmas eve I wish all readers celebrating, a MERRY CHRISTMAS! May the light shine on you! I briefly like to touch on a very typical comment I get all the time from people looking at my images: " You must have a really big camera..." Well no, this was shot with my Nikon compact P7000! Leaving Norman's Cay behind us, we were off for our last overnight in the Bahamas. 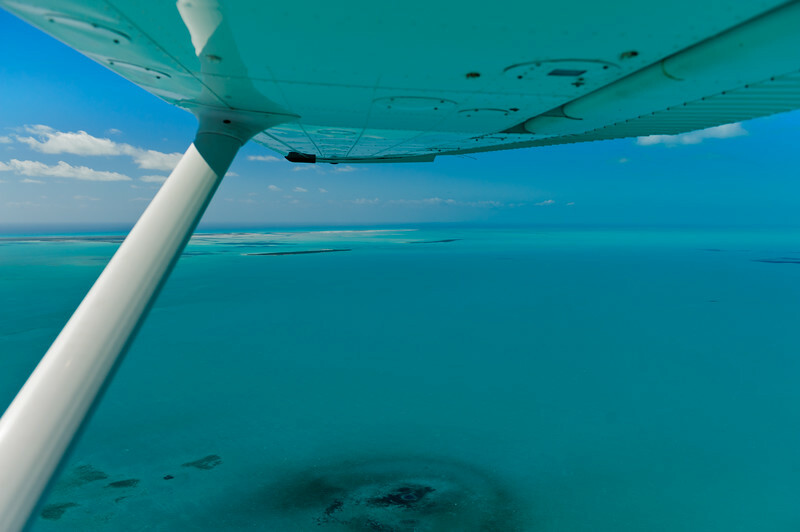 A two hour flight over water, brought us straight across the capital island of Nassau and then onwards to Bimini, the most Westward island of the Bahamas. 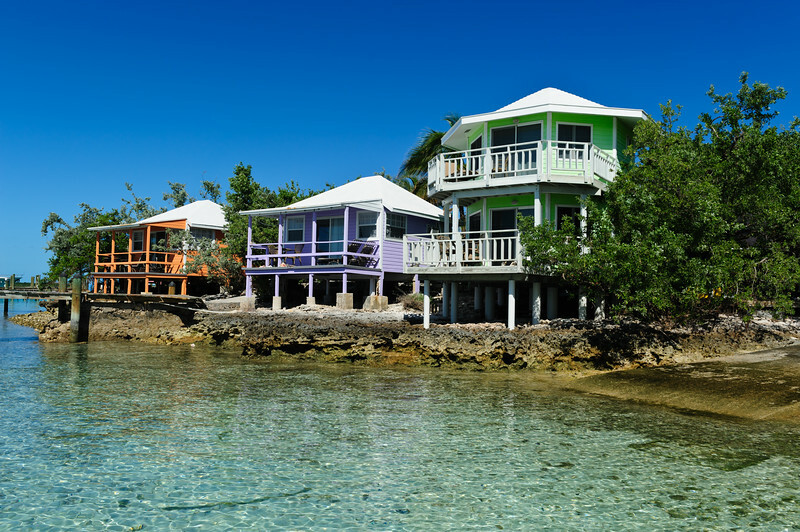 We stayed at the Bimini Big Game Club, an interesting resort which is owned and run by marine wildlife scientist and artist, Guy Harvey. 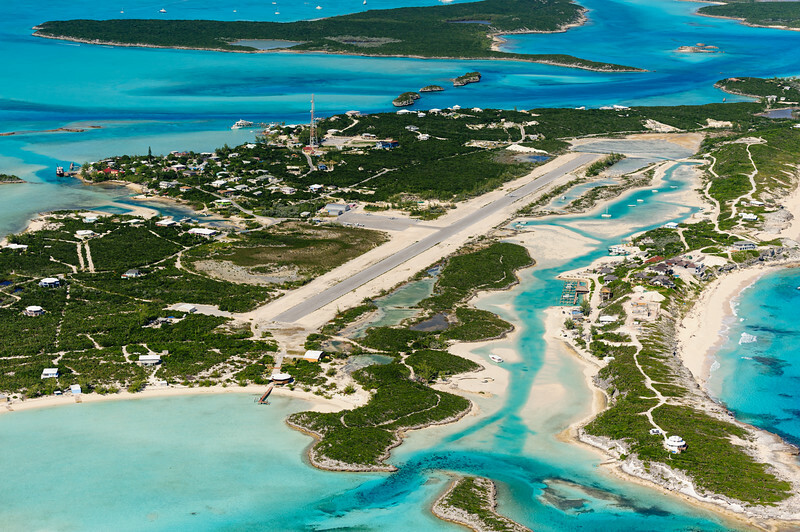 The image above of the hotel was taken while on the approach to the South Bimini airstrip. 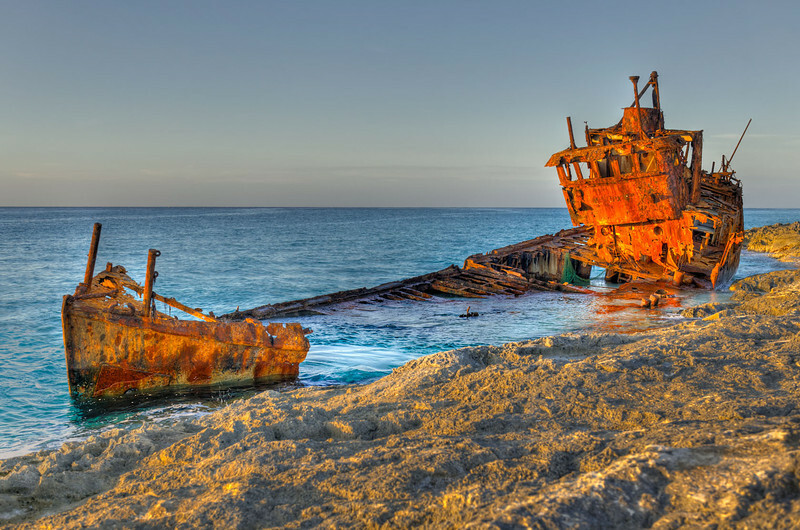 On the Southern tip of North Bimini (Alis town), I photographed the remains of "Gallant Lady". The next morning we unfortunately had to leave the beautiful islands of the Bahamas. 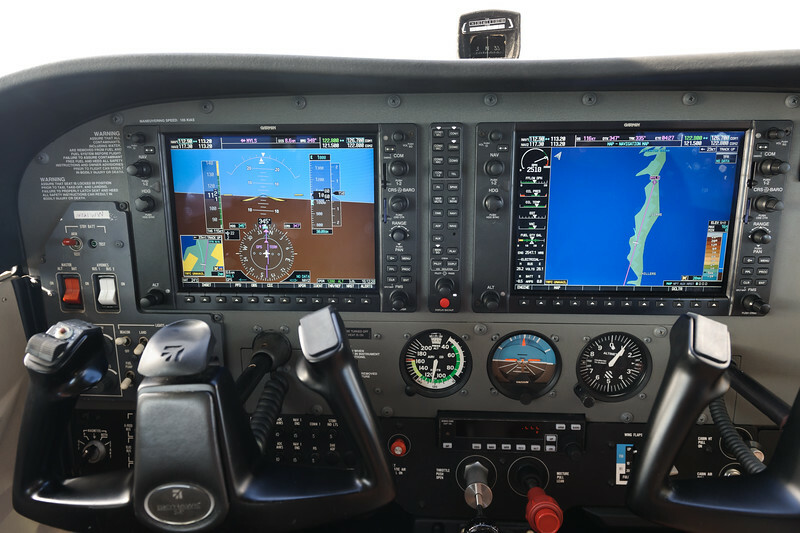 After having cleared customs at West Palm Beach (PBI) we made our last flight of the trip, a little hop to Lantana (LNA) airport where we returned the keys to Palm Beach Flight Training, the flying school where we rented the aircraft. "Florida and the Bahamas from sea level to 1000ft" has been a success. Mainly due to the extensive planning, which we started about 6 months before, we were able to almost complete the plan 100% . Those of you that have missed it... Make sure you check out my 5 min Vimeo video, shot with the GoPro Hero 2 on the wing and tail of our little Cessna! 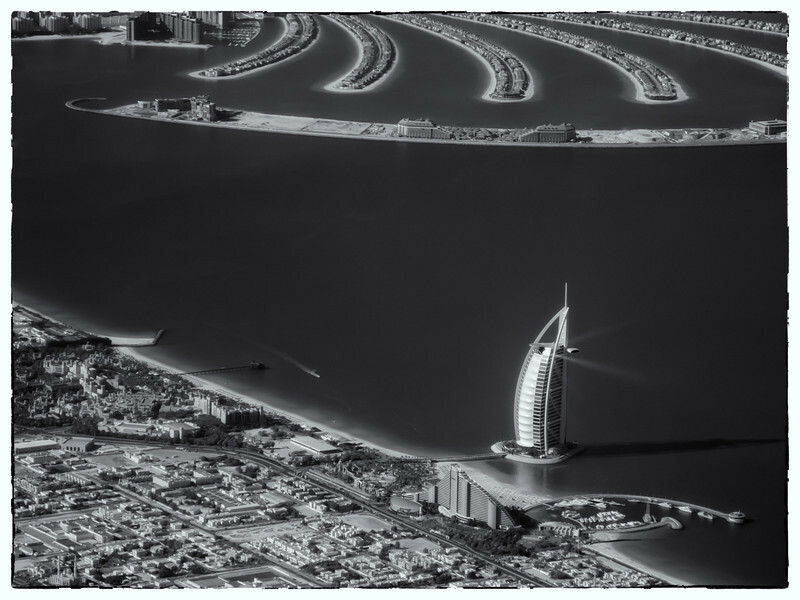 It might be about 2 years away, but I'm starting to daydream about our next flying-photo adventure. Canada, Australia, South-Africa; they are all on the bucket list! On part 4 of the series, we will be slowly heading back towards our departure airport in South-Florida. The trip is far from over yet, since we still have 2 more flying days covering about 1000 km back to the mainland US. 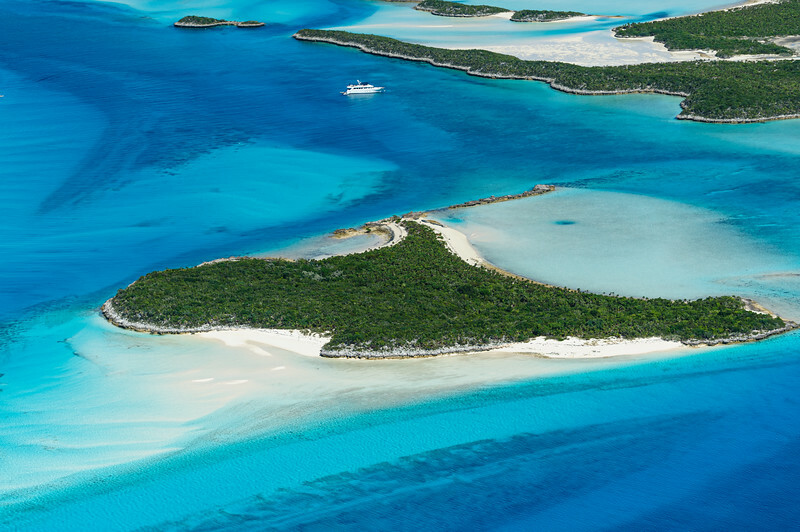 Leaving Long Island on a North Westerly course we initially headed towards the Exumas, a more than 200 km long island chain, consisting mainly of tiny little islands or "cays". 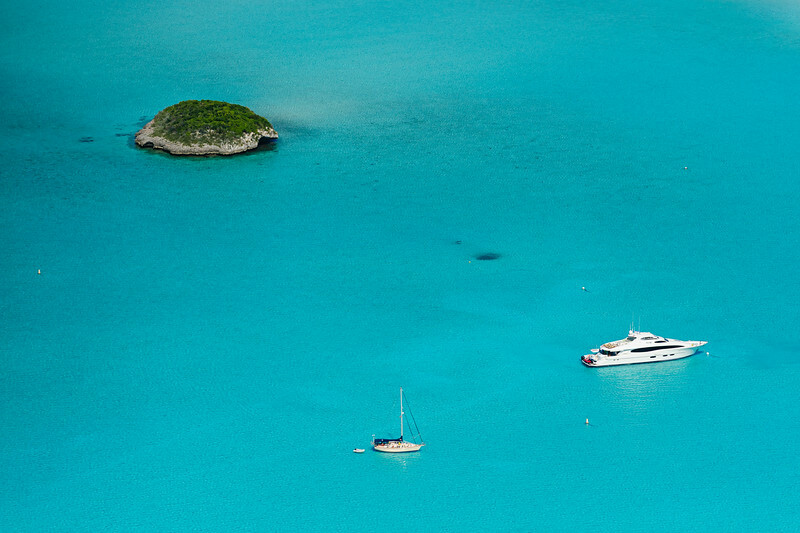 The turquoise colored waters make the Exumas the most scenic region of the Bahamas for aerial photography. Without doubt is must also be heaven for sailors and motorboat fans. 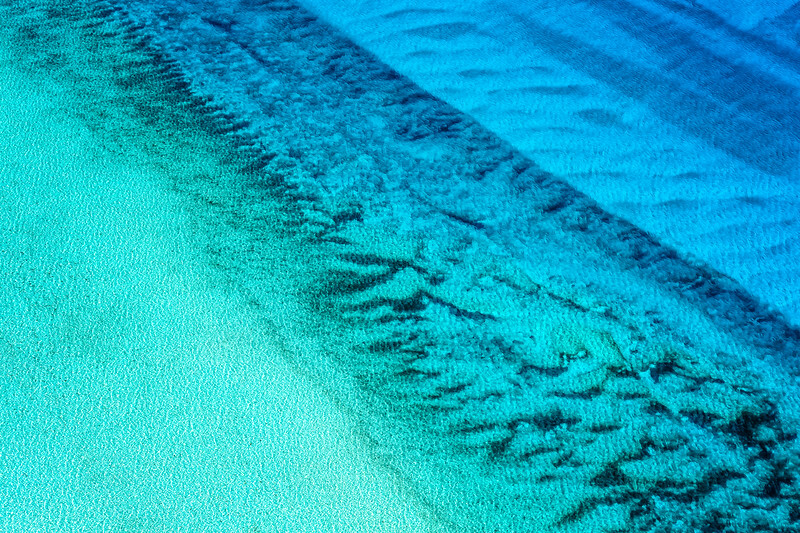 The water is so clear that the bottom of the ocean (20m to 30m depth) can be seen from 1000 ft. A sight not to be forgotten! For lunch, we stopped at Norman's Cay; a small island in the North part of the Exumas, with plenty of "drug smuggling history". 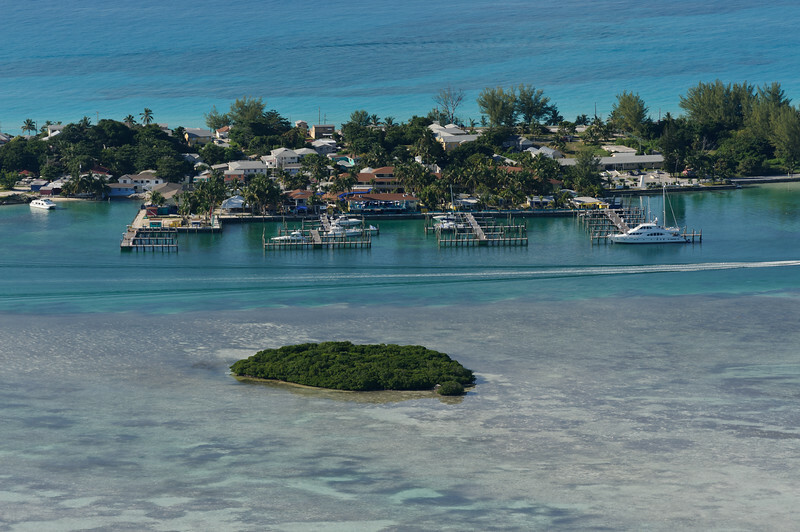 Carlos Lehder, co-founder of the Columbian drug cartel Medellin, setup his cocaine transport empire at this Cay in 1978. With armed guards, Dobberman attack dogs and even a radar station, he completed occupied the island. 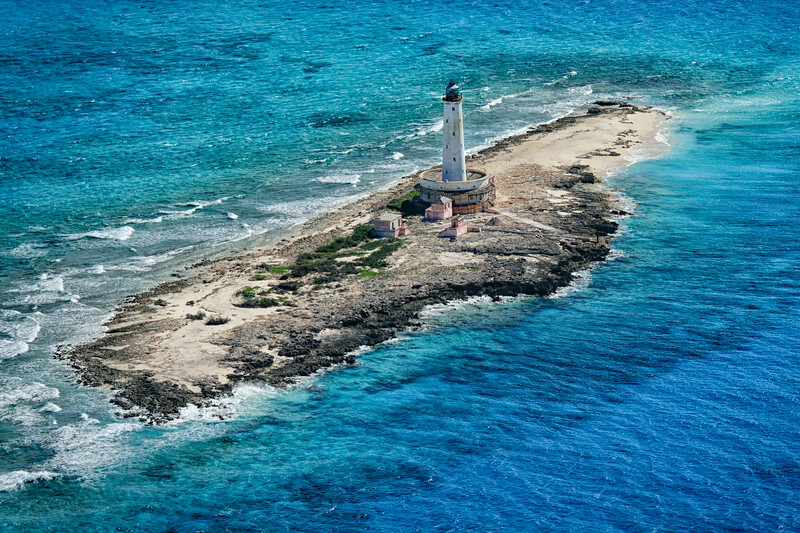 In 1982, under pressure from US law enforcement, and despite years of turning a blind eye, the Bahamian government began to crack down on the activities at Norman's Cay, ultimately confiscating Lehder's land. His life sentence plus 135 years, was reduced to 55 years after he testified agains Manuel Noriega and he is still in jail today. 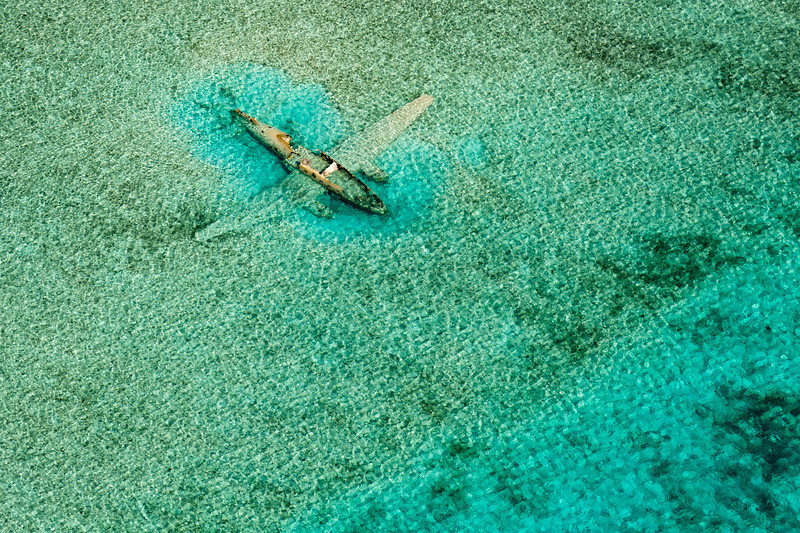 Just East of Norman's Cay, I photographed this Curtiss C-46 which ran out of fuel in 1980. The full story was part of my Pic(k) of the week 47 and with now over 13.000 (yes) views at my 500px site has without doubt become the most popular image of the trip! 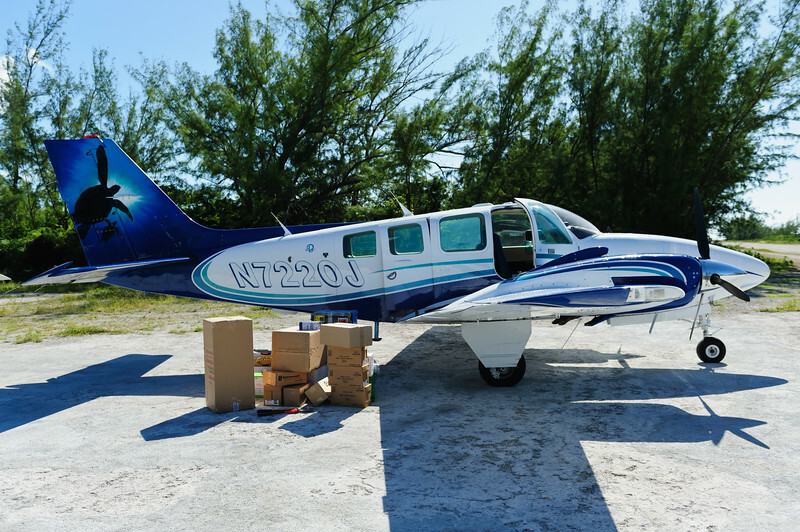 Now that Norman's Cay is a safe tourist heaven again, small aircraft like this Beechcraft Barron, fly in food and supplies from the US. 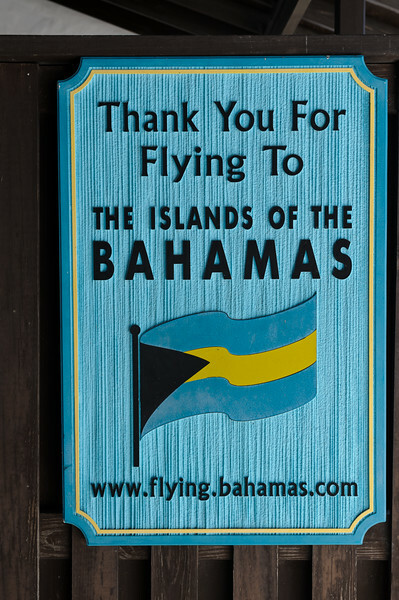 Our last 36 hours on the Bahamas and some closing thoughts will be in part 5 of the series. 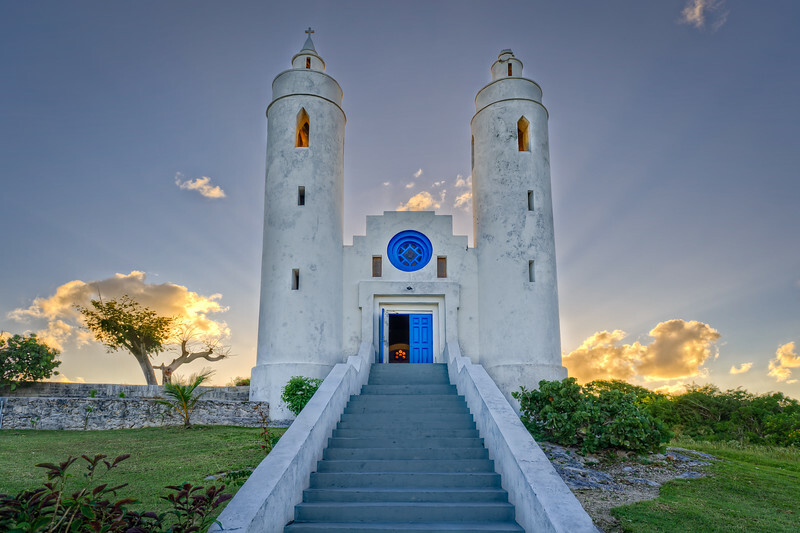 In part 3 of the series, we are leaving the Bahamian island of Eleuthera for Long Island where we based ourselves at the Stella Maris resort for four days. Staying at a central location like this one, allowed us to see most of Long Island from the ground, as well as being able to do some flying to nearby smaller islands. 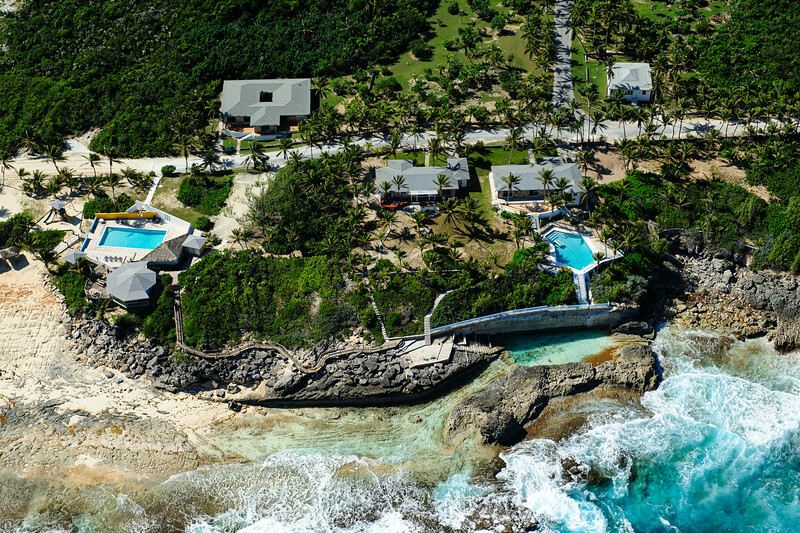 The Stella Maris resort, has an interesting tide pool, which can be seen on the aerial above, just below the wall at the bottom of the picture. A local guide took us for a tour of the island. 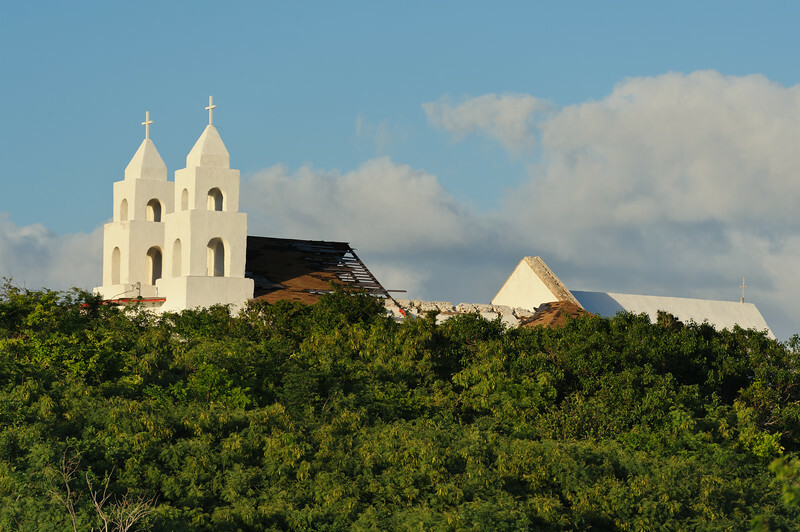 This included visiting some of the island beautiful churches. Some of the damage done by hurricane Irene last August 25th is still clearly visible. The difference of scenery on the West and East coast of Long Island is quite remarkable. Especially when seen form the air. The coastline on the Atlantic side (East side) of Long Island is mostly very wild and rugged. 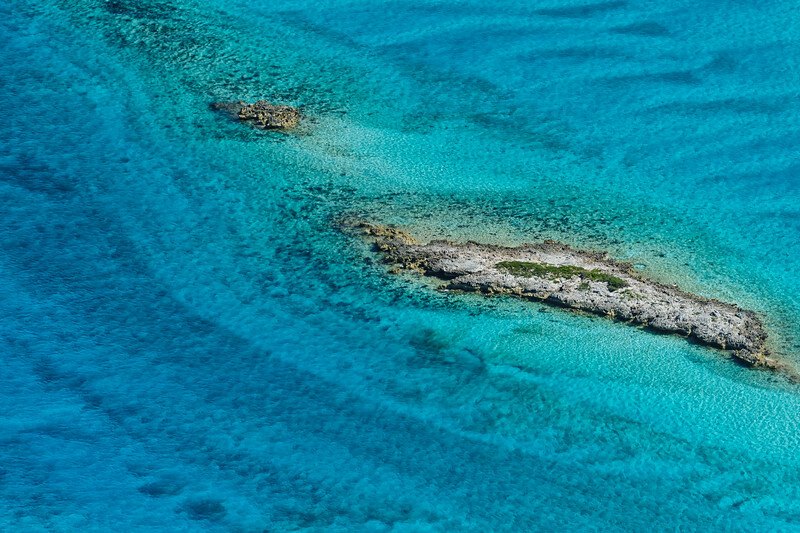 While the other side is part of the shallow waters of the Grand Bahama bank. 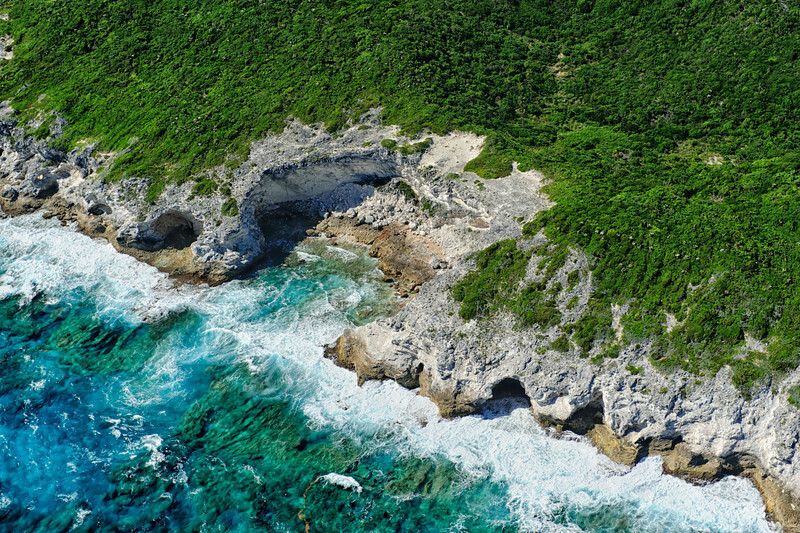 Often there's only a few kilometers between the East and West coast of the island. 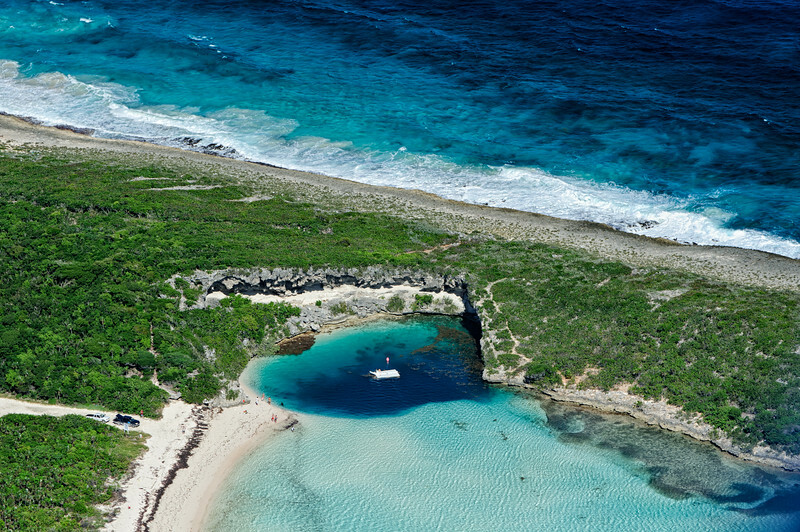 Just North of Clarence town, the capital of Long Island, one finds " Dean's Blue hole"; with 202m (662ft) the deepest known sea water blue hole in the world. Even though we did also visit the place by car, it is really from the air that one appreciates this special place! On part 4, we will move islands again, but before we do so, I would like to share a video compilation, shot with a GoPro camera on the wing and tail of our flying photo platform. Click here, to watch a 5min Vimeo clip of some of the footage.